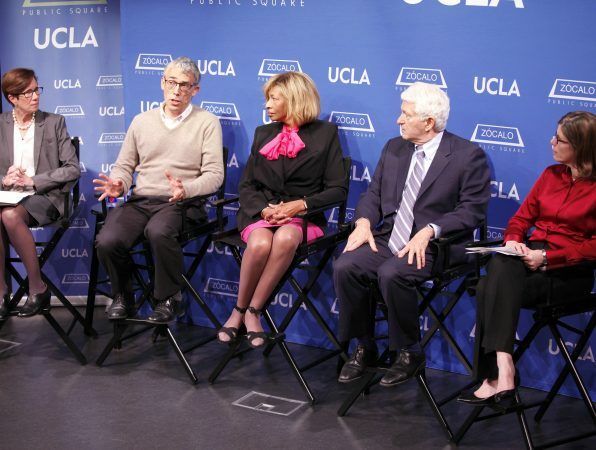 Those painful realities formed the backdrop to a Zócalo/UCLA event titled “How Can We Reverse the Depression Epidemic?” at the National Center for the Preservation of Democracy in downtown Los Angeles. But over the course of a wide-ranging hour-long discussion, panelists pointed to several signs of progress in recognizing and dealing with depression. 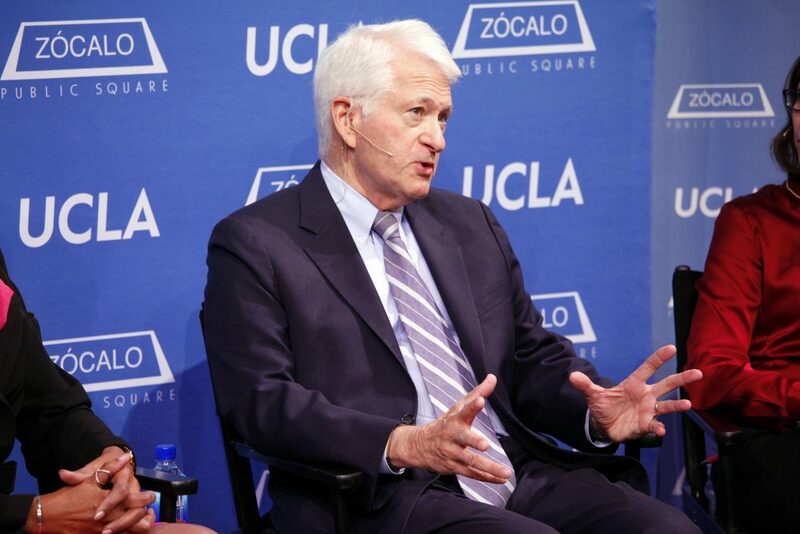 Moderator Anna Gorman, senior correspondent for Kaiser Health News, opened the conversation by asking panelist Gene Block, the chancellor of UCLA, about his university’s UCLA Depression Grand Challenge (DGC), a campus-wide initiative aimed at reducing depression both within the school’s community and beyond. Some 25 university departments and thousands of students are taking part in the initiative, which deals with an area that Block said “maybe wasn’t ignored, but wasn’t focused on” as extensively as it needs to be. One of the DGC’s components is offering free depression screening to all UCLA students. “If you can catch some of these conditions early,” Block said, you can do more about them. However, he added, follow-up treatment has to be individually tailored. “When you go from retail to wholesale with an issue like this, you can’t treat everybody the same way,” he said. The need for “personalized medicine” in treating depression was emphasized by another panelist, Dr. Rhonda Robinson Beale, a psychiatrist and chief medical officer at Blue Cross of Idaho. Robinson Beale said that, although popular culture often depicts some type of pill (usually Prozac) as the standard treatment for depression, these medications unfortunately only affect a minority of the patient population on a first trial. “There’s nothing that tells you when a patient walks through the door which one of these treatments is going to be effective with them,” Robinson Beale said. But although a host of activities can help to promote positive brain chemistry—exercise, managing stress, going to a stage or film comedy, taking time out every day to relax—she added, there’s no one-size-fits-all prescription. “It’s really trial and error, and I think that’s one of the most unfortunate things about it,” Robinson Beale said. 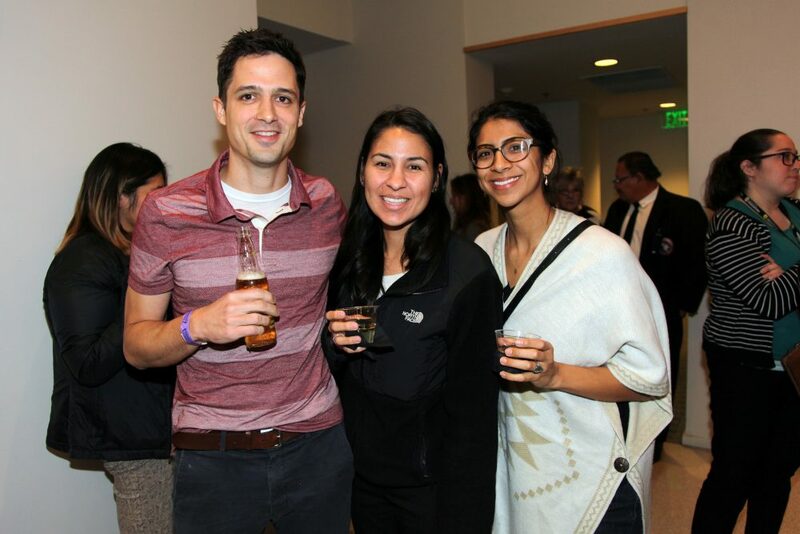 Dr. Jonathan Flint, a UCLA behavioral geneticist and expert in the genetic causes of depression, discussed in detail the limitations of scientific insight into what triggers depression and, accordingly, what to do about it. Isolating the possible genetic roots of one person’s depression isn’t as simple as finding a gene for Huntington’s Disease or Cystic Fibrosis, Flint said. The symptoms of various individuals can be similar, and yet they may be suffering from different forms of depression. Gender also seems to have a part in susceptibility to depression: Flint said that, on average, about 15 to 20 percent of women, and 12 percent of men, would be likely to acknowledge having experienced at least one episode of depression. Socioeconomic factors, and physical trauma such as violence or sexual abuse, can also play crucial roles in precipitating depression, the panelists said. 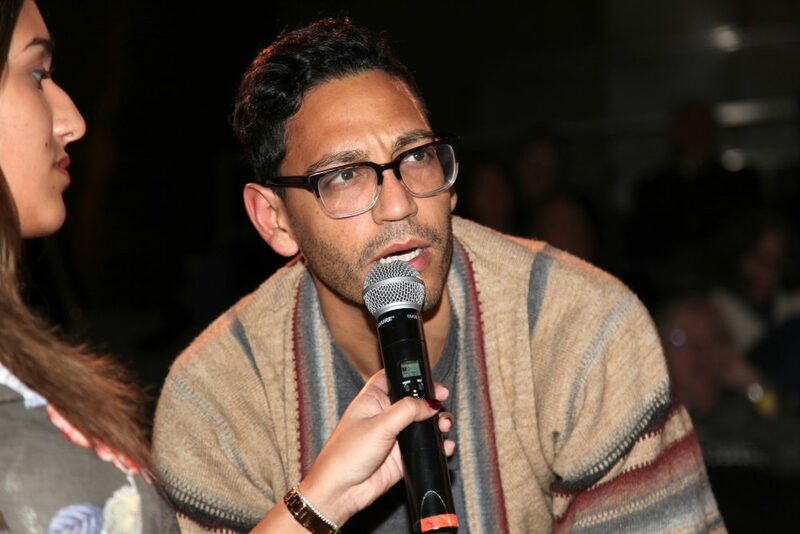 “There’s a big environmental component. Everyone knows that,” said Flint, who was part of a research team that conducted a large study of depression in China. 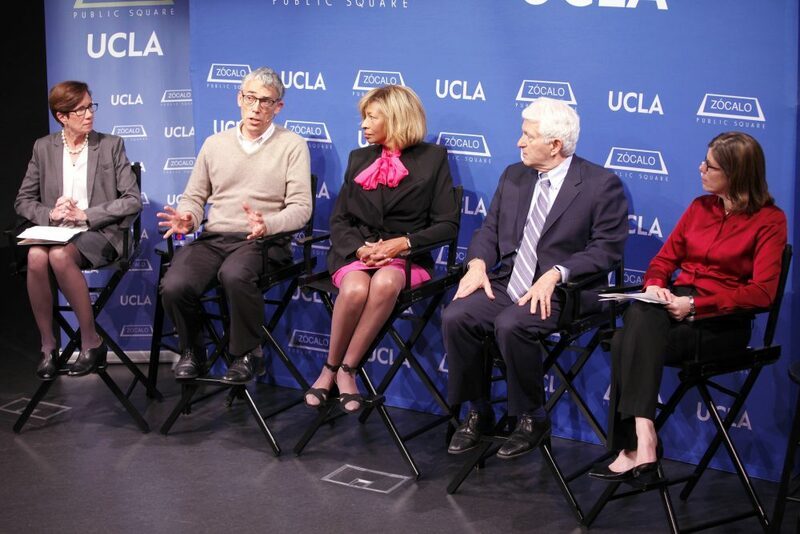 Acute depression is not only agonizing for individuals and families, the panelists concurred. It’s also costly to society, a toll that can be measured in worker absenteeism, lost productivity, disability rates, and alcohol and drug abuse, among many other indices. Getting access to mental health care can be much more complex and convoluted than getting treatment for physical ailments, and workers may hesitate to seek help for depression because they fear it won’t stay confidential, and could hurt their careers. Similarly, said Block, the UCLA chancellor, some college students struggle alone with depression out of concern that admitting it could sabotage their futures. One of the more hopeful, relatively new lines of research into depression involves using artificial intelligence and other interactive technologies to identify symptoms more readily. “This is an area that’s a little spooky, but promising as well,” Block said. But older technologies, even one in particular that conjures fearful associations—Electroconvulsive therapy (ECT), in which tiny electric currents are applied to the brain—can be highly effective for certain patients as a last resort, Flint said. 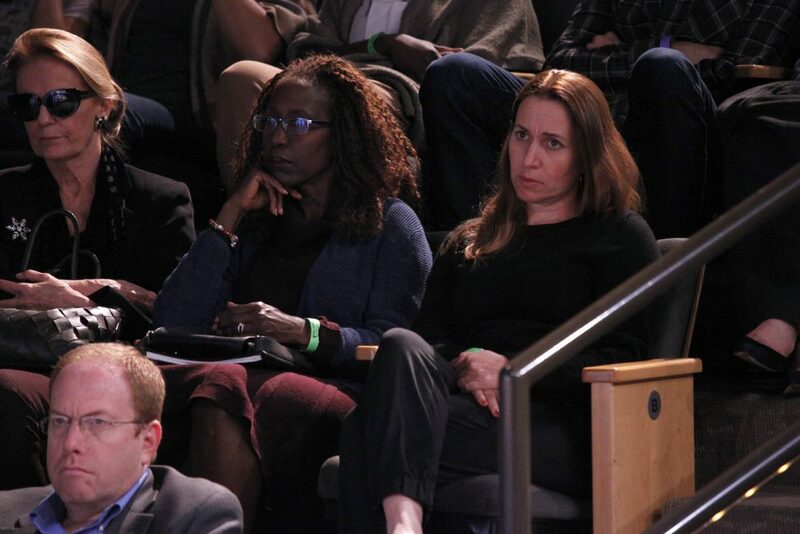 When the floor was opened for questions, one audience member asked whether people could become depressed by comparing their lives and achievements on social media. It’s a factor worth studying more, Flint suggested. Another man asked about whether there’s evidence that depression could be linked to the release of electromagnetic energy from cellphones and other devices. No evidence so far bears this out, the panelists replied. A third audience member asked the panelists whether comic entertainers such as Robin Williams, who took his own life, may be especially prone to depression. In response, Robinson Beale said that bi-polar manic-depression can occur in very outwardly successful people. “Just as they get that high, they can also get that low,” she said. What’s the biggest aid in addressing the global pandemic of depression? Frank and open talk, the panelists suggested. Gruttadaro said that less than half of people with depression get treatment. Many people fear that, if diagnosed, they will be perceived as weak or as someone who can’t handle life, she said. 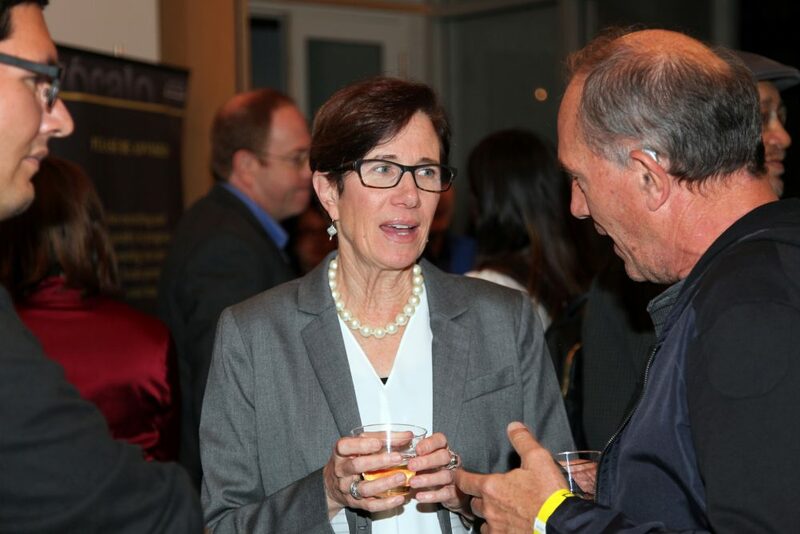 Darcy Gruttadaro, Director of the American Psychiatric Foundation’s Center for Workplace Mental Health, speaks with guests at the reception.